At Uptown Dawg, we have created a loving home away from home! Your dawg can enjoy the company of human and pet interaction on a daily basis through exercise, pampering and of course play! Your dawg's happiness and comfort are our number one priority! Our mission is to provide the ultimate experience for your dawg in a safe, clean and fun environment! 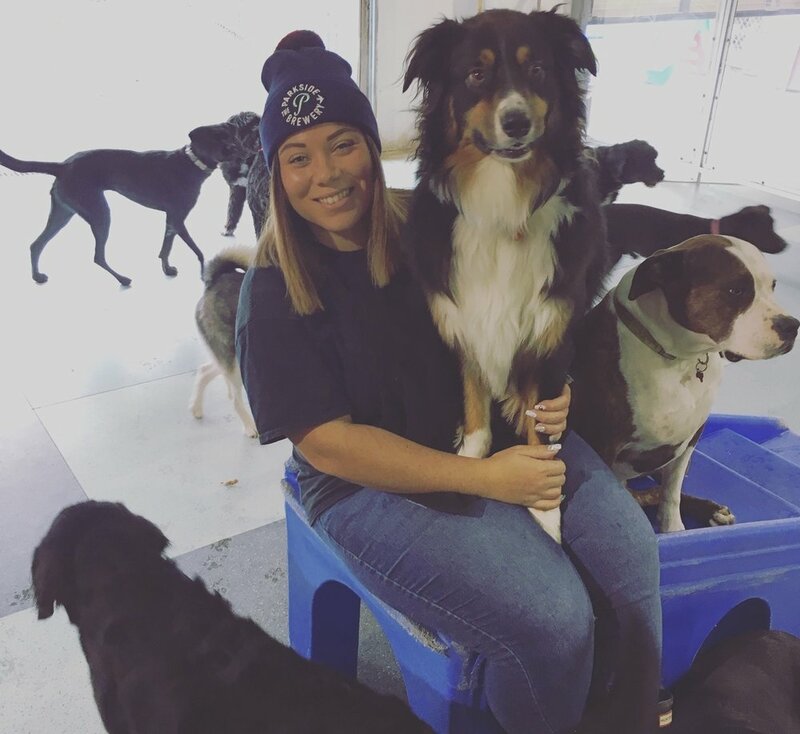 Our friendly and caring employees provide lots of love and cuddles for each and every dawg and ensure playtime is safe and enjoyable for all, leaving no dawg left out! Our Port Moody location, which is 6000sqft and is a cage free facility, has both indoor and outdoor areas and is divided into designated arenas for dawg's both small and large providing fun and adventure for every dawg no matter their size! We also have a variety of separate rooms designed for cozy nap times or breaks for your dawg's relaxation. Did someone say Spaw Day? Our paw-fessional and caring grooming team uses the highest quality product when pampering your pooch, from basic wash and hand dry to full service grooming we do it all to meet your dawg's specific requirements. Once your dawg is dazzling from ears to paws you will have the option to rest in the spaw lounge or join their FURiends in play-care until you are ready to take them home. At Uptown Dawg, we understand the instinctual need for dawg's to explore and sniff the world! That is why we offer a variety of other services to accommodate your dawg's needs, including leashed walks through beautiful Rocky Point Park, off-leash adventure hikes exploring various mountains and hiking trails and ranch-runs where your dawg can run outdoors within our ranch gates playing ball with their pack and our energetic employees. *To make sure your dawg will feel comfortable and secure in our play-care facility, before their first day we do a trial assessment to evaluate if your dawg will thrive with the rest of our pack.